Are you looking for precious metal and gold refining solutions? Do you need accurate assays and fast processing of your precious metals? PMT Pty. Ltd. is the only operating precious metals and gold refinery in Queensland, Australia. We have over 20 years experience serving the jewellery and mining industries with their gold and silver needs. We look after manufacturing jewellers, prospectors, and investors and pay cash for scrap gold jewellery. 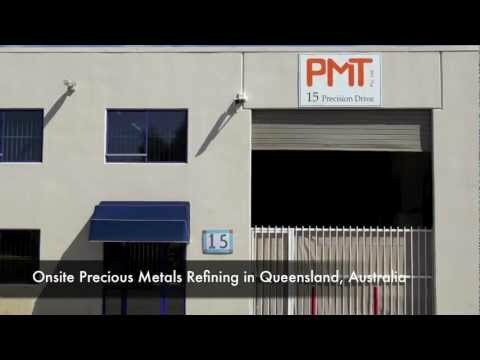 PMT is the only precious metals refinery in Qld. We offer metal Refining, Recycling, Assays & Metal Supplies. We look after Manufacturing Jewellers, Prospectors, Investors and Scrap Jewellery customers. Molendinar, Gold Coast, Australia.